Boys enjoy Leicester Tigers game. Our S1 and S2 rugby players accompanied by five 1stXV players enjoyed a trip to Leicester to watch the European Champions Cup fixture between Leicester Tigers and Racing 92. Activities included a round of crazy golf, a training session taken by Tigers coaches followed by a Q&A with Valentino Mapapalangi (Leicester Tigers Player) as well as attending the European fixture. 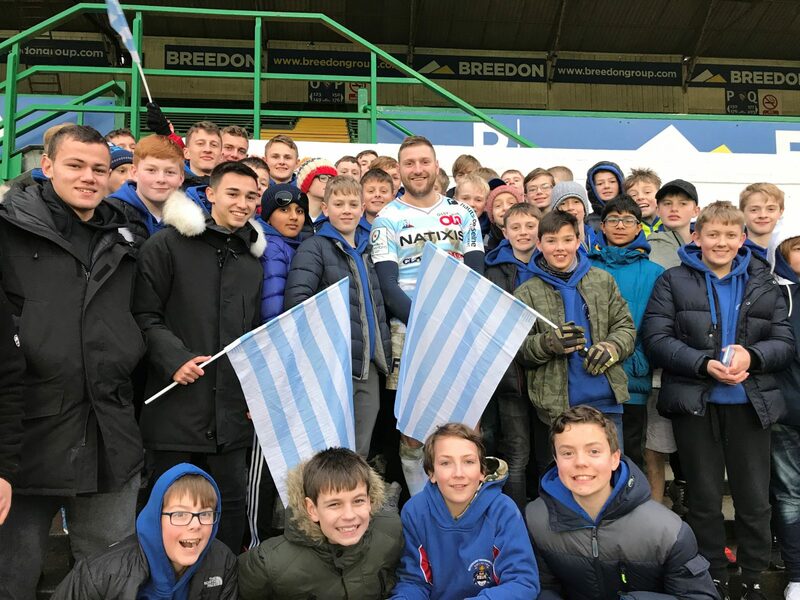 A special guest appearance by Racing 92 playmaker and Scotland international Finn Russell after the match was a great highlight for the boys.